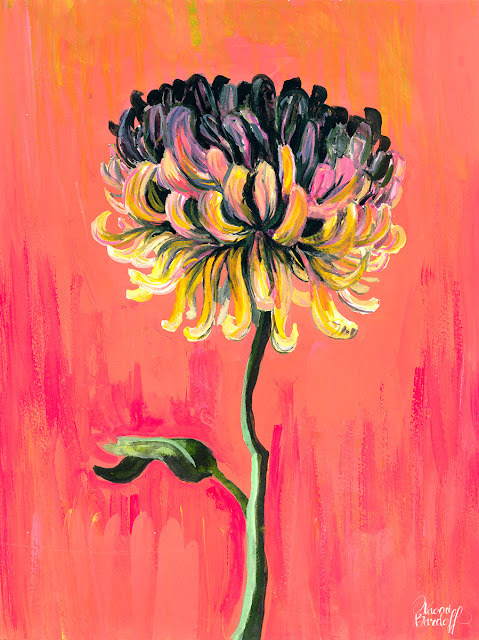 Watercolor and gouache still life study of a chrysanthemum. This started out as a warm-up watercolor sketch, then I got carried away. The original is about 11"x15".